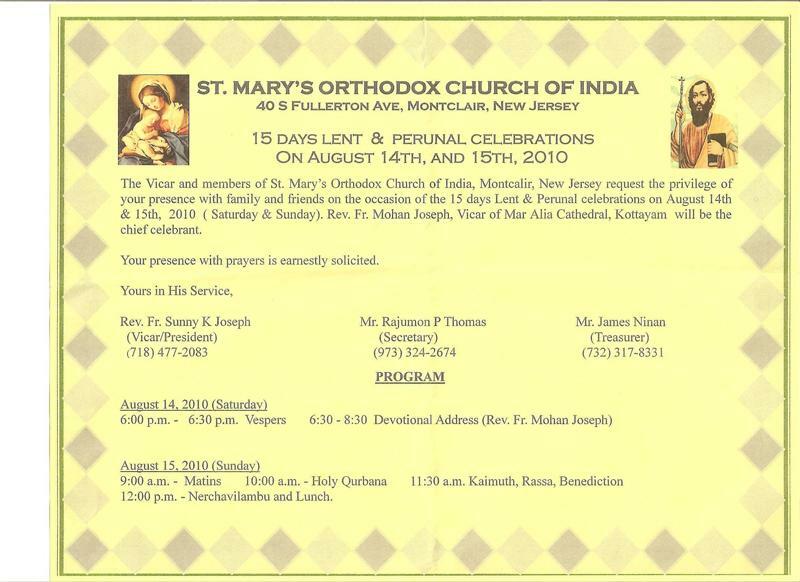 The Vicar and members of St. Mary's Orthodox Church of India, Montclair, New Jersey request the privilege of your presence with family and friends on the occasion of the 15 days Lent & Perunal celebrations on August 14th & 15th, 2010 (Saturday & Sunday). Rev. Fr. Mohan Joseph of Mar Elia Cathedral, Kottayam will be the chief celebrant.